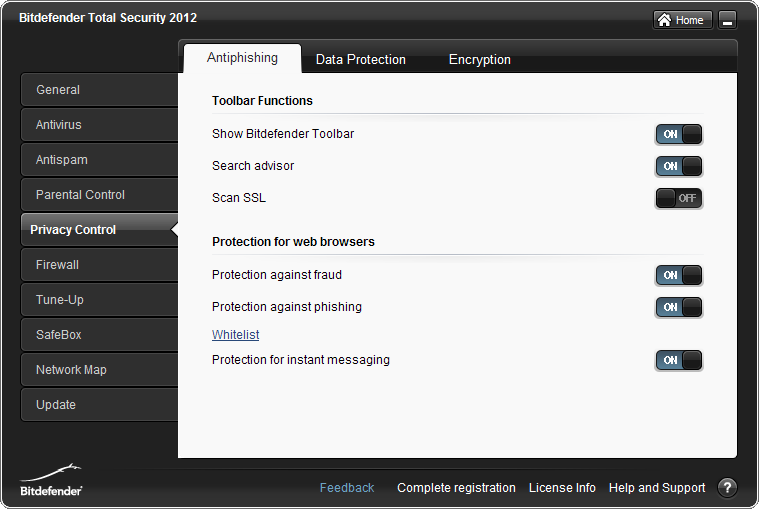 BitDefender Total Security 2012 includes both PC and Internet protection. 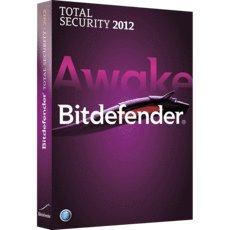 As discussed, earlier in the post - BitDefender Antivirus 2012, the installation, interface, and the features are similar but with a slight difference. 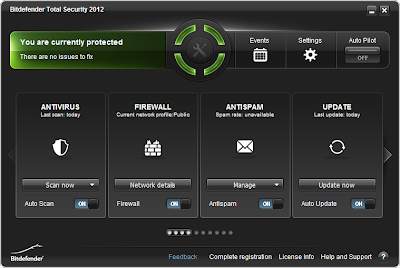 BitDefender Total Security 2012 includes some additional features like Antispam, Two-way Firewall, Parental Control, Search Advisor, Tune-up, File Encryption, and Safebox. 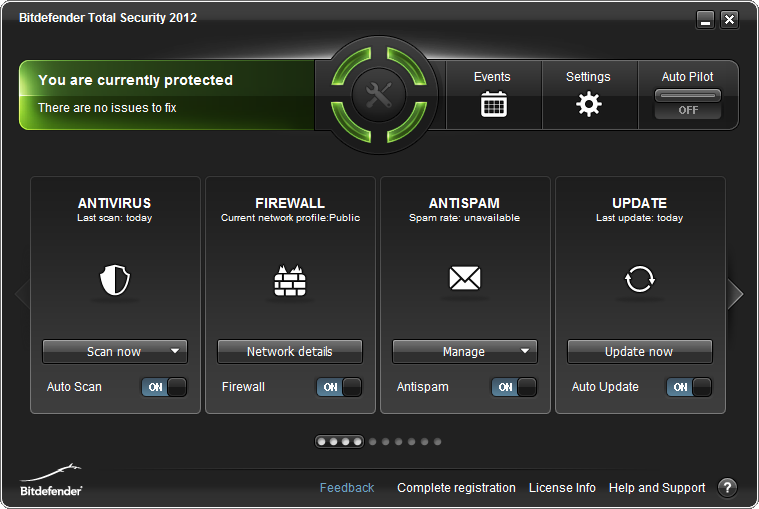 A 30-day free trial version is available, but BitDefender offers complete features with paid version. You can get that for $44.99. This may be bit expensive, but definitely worthy. 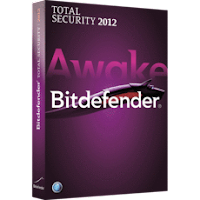 BitDefender Total Security 2012 is supported in Windows 7, XP and Vista with minimum of 1 GB RAM and 1.8 GB hard disk space. The Autopilot is the main feature which is allowed to take independent decisions for optimal security environment. Two-way Firewall – Checks you internet connection and keeps away from hackers and intruders. Parental Control – Blocks unsafe web content and rigorously monitors your child’s online activity. Search Advisor – Gives warning of unsafe and dangerous websites in Google and Bing search results. Tuneup – Deletes junk files, duplicate entries, and registry errors for maximum performance. File Encryption – Important and private files are encrypted. Safebox – Backs up your important files/documents automatically to a secure remote server and allows access for File Sync.